Protein is an essential nutrient, made up of amino acids, which helps form the structural components of body tissue, such as muscle, and also is used in many biological processes, such as growth and brain function. Our bodies do not make sufficient amounts of amino acids, which are essential for good health. Therefore, we must get them through our diet. Although there is much debate about the amount of protein the body needs, most experts say it should account for between 20 – 30 percent of one’s daily caloric intake. Some health conditions, such as illness, stress, pregnancy and breast feeding, place an enormous demand on the body as it tries to build tissue or fight infection. These conditions require one to be particularly diligent about protein consumption, which most Americans fail to do. 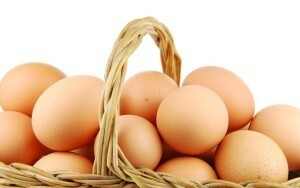 Proteins are found in animal products such as eggs, meat, milk, fish and poultry. These proteins are considered “complete” because they contain all of the essential amino acids our bodies need. Plant proteins, found in vegetables, grains and beans, lack one or more of these essential amino acids and are not considered to be “complete” proteins. However, plant proteins can be combined with other foods that contain the missing amino acid(s) such that all of the essential amino acids are present and a “complete” protein is formed. It is especially important for vegetarians to understand this concept and consult with a nutritionist, if necessary, in order to ensure the proper combinations of foods are being consumed such that sufficient amount of “complete” proteins are being ingested.